Last week we were delighted to welcome Tatiana Yatsunova, senior Medical English lecturer at Sechenov University’s Linguistics and Intercultural Communication department, for a week long visit to SLC’s office at the University of Sussex here in the UK. Sechenov is Russia’s top medical university and is recognised across the country, and increasingly internationally, as an academic, research and resource Center of Excellence in the Russian healthcare system. Sechenov has been using SLC’s online Medical English courses to support its undergraduate and postgraduate students to develop their subject-specific English language skills in medicine and pharmacy. This enables students to work and research internationally and aligns with the university’s international ambitions. Tatiana visited SLC to get an understanding of how we author, publish and manage online learning content as part of a project Sechenov and SLC are working on to customise the courses for the Russian education and professional markets. Her team in Moscow, under the leadership for Professor Irina Markovina, have already made significant headway in terms of writing the Russian elements and this week gave us the opportunity to translate this into e-learning reality. Tatiana has already got to grips with the authoring tools and we are on schedule to release the first module by the end of this year. While Tatiana was here, she was also able to observe the tutored virtual classroom courses we give to international nurses at hospitals around the UK, as well as visit the face-to-face course we give at St George’s hospital in south London. These classes prepare groups of nurses to pass the Occupational English Test (OET) of English for Healthcare so they can register with the NMC and work in the UK. 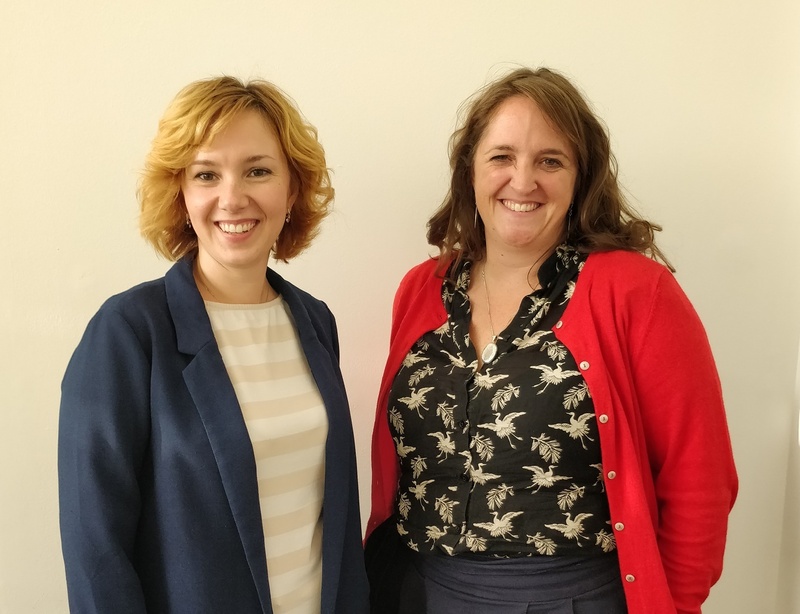 As part of this, she spent time with Bethan, SLC’s Academic Director, going through course pedagogy and comparing course design, teaching methodology and academic management systems with how Sechenov organise their classes. We noticed quite a few differences! We also discussed SLC’s upcoming trip to Moscow. Bethan and I are heading to Moscow next week to do two things. Firstly, we will spend time with Irina, Tatiana and their team in order to further progress on the joint online course project. Secondly, Bethan is giving a tailored three-day training course to twenty Russian medical lecturers – not Medical English this time, but English for Lecturers, so the language they need to give lectures, seminars and classes in English to Sechenov’s growing number of international students. These projects and teacher training sessions demonstrate the breadth of the growing partnership between SLC and Sechenov. We’re delighted to be combining the joint expertise of the two organisations to build a lasting partnership together.